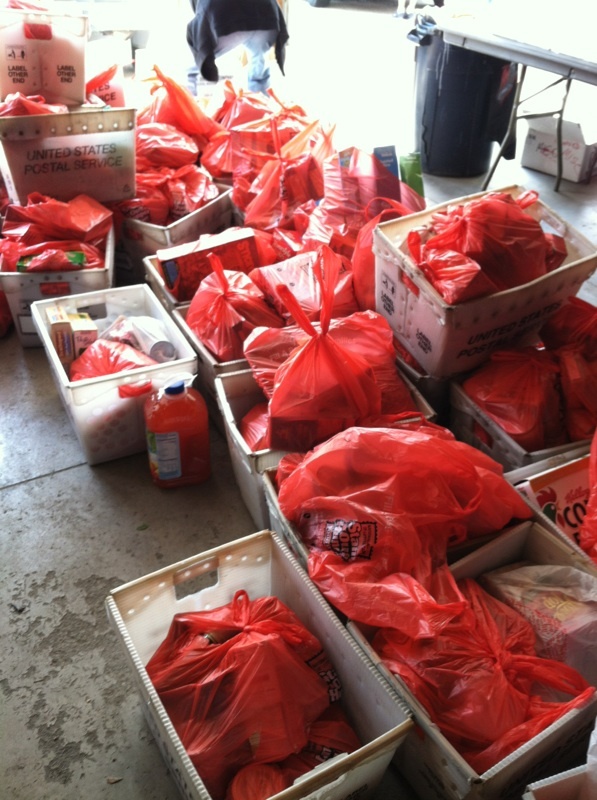 Last Saturday (May 11th) was our Annual Mail Carriers Food Drive! Residents left donations for the pantry on their porches. All Saturday afternoon donations were collected and brought to FISH to be sorted. We collected over 20000 pounds of food!! This wouldn't have been possible with out the countless donations and support from the community. We had an incredible amount of volunteers who gave their time to help us out. So thank you to each and every one of them! 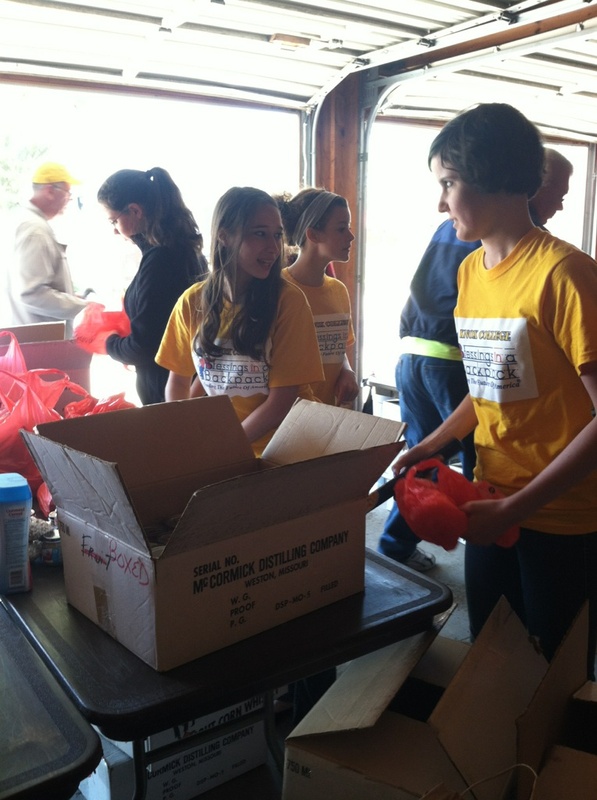 One of the many drop offs throughout the day. 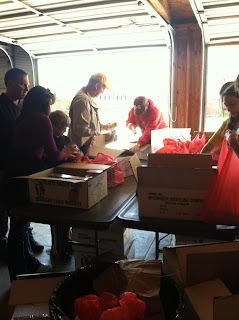 Volunteers sort food that was collected from around the community. Boxes and Boxes! Oh my! 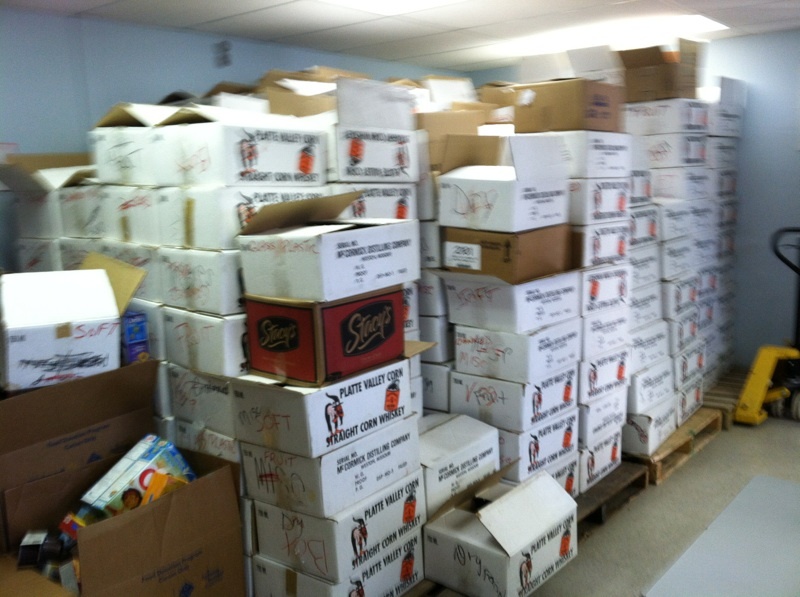 Some of the many boxes that fill the pantry! 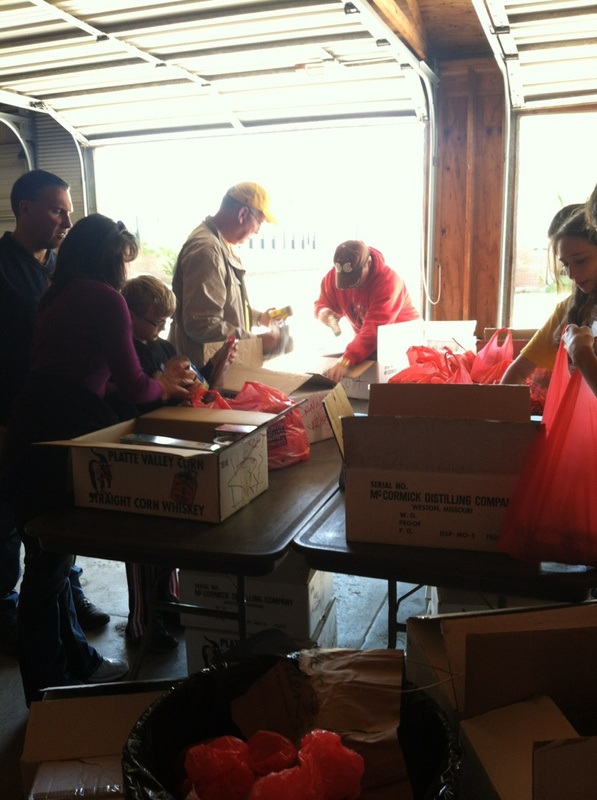 Knox College's Blessings In a Backpack Volunteers sort food. The wall of FISH is now lined with stacks and stacks of canned goods! FISH is an all-volunteer non-for-profit agency. 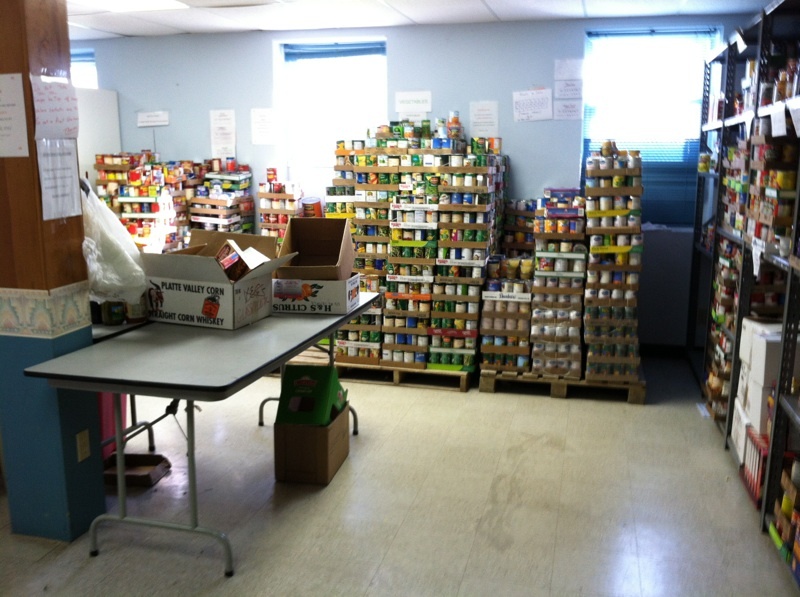 As a local food pantry, FISH provides emergency food relief to those in Knox County in need of assistance. FISH is not an acronym. The FISH symbol is symbol of sharing. Established in 1970, FISH of Galesburg provides food assistance to those in emergency situations and meets government regulations. In addition, FISH helps fill the nutrition gaps during the summer when school breakfast/lunch programs close. FISH of Galesburg is open Monday-Friday 10:00am-3:00pm. The FISH operator: (309)343-7807.